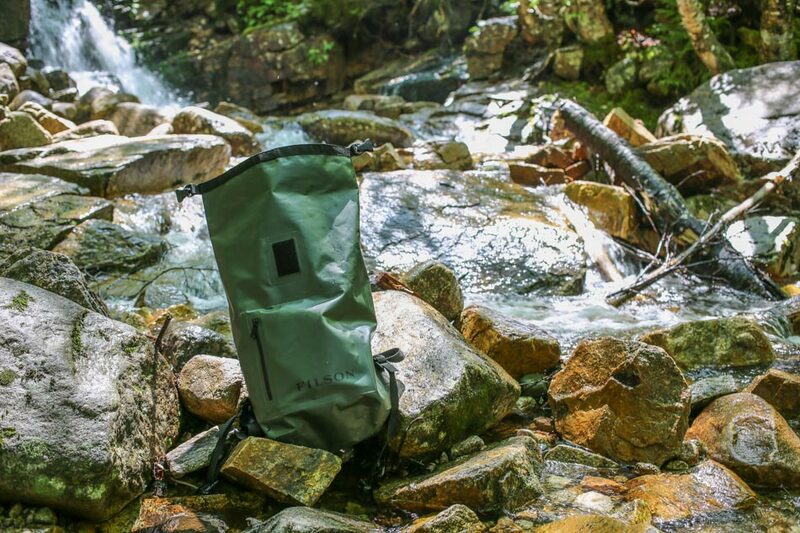 This midsize, lightweight, waterproof grab-and-go bag has a roll-top buckle handle and sonic-welded seams that keep out water and sand. An oval base keeps the bag upright for packing. 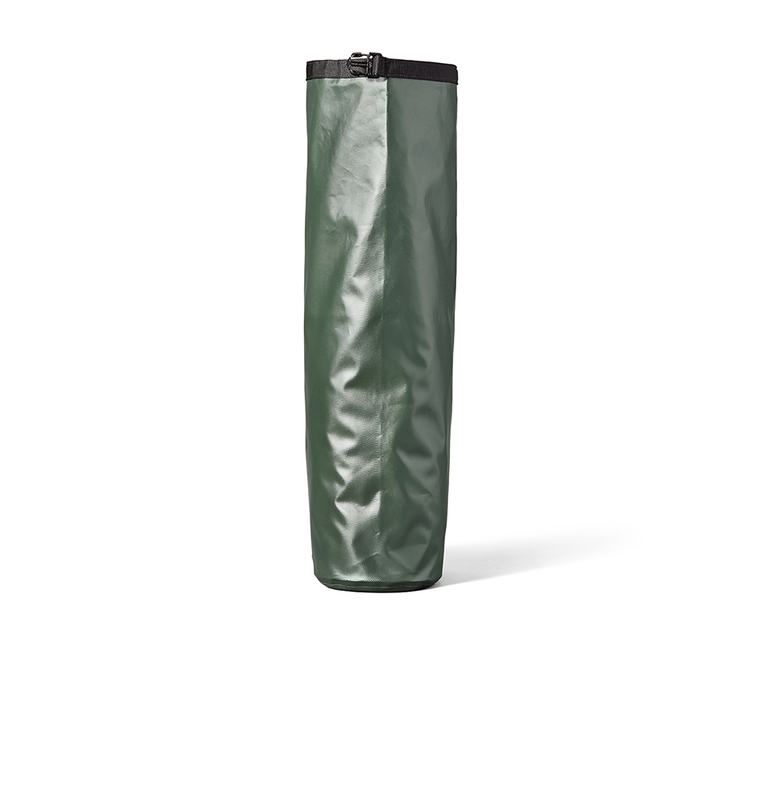 Its easy-carry handle and medium size make it ideal for using on canoe and kayak trips. 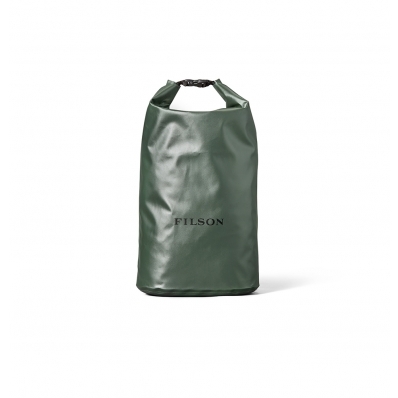 FILSON DRY BAG-MEDIUM GREEN, for use in all weather conditions. 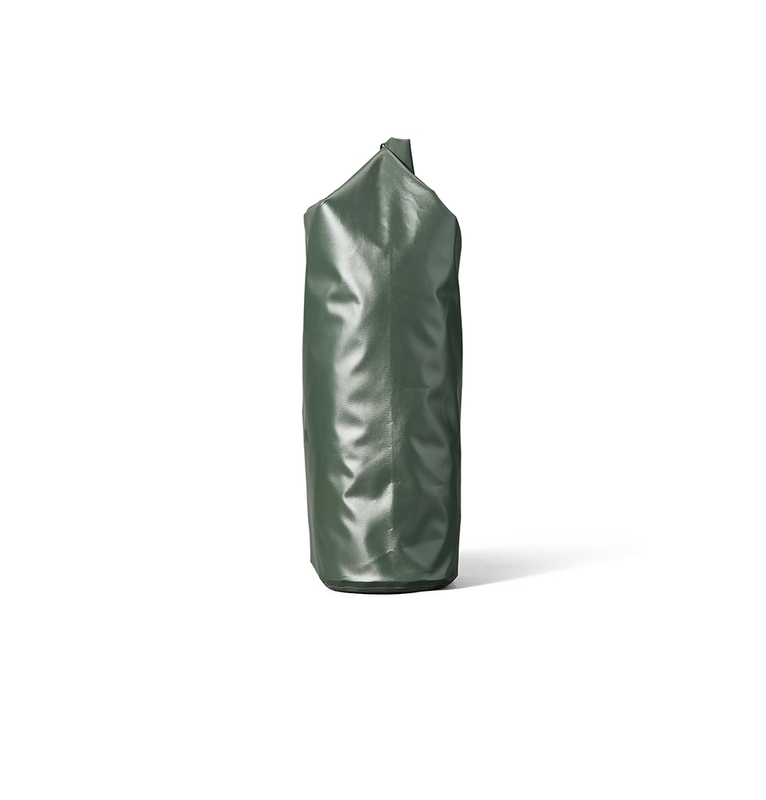 This lightweight, waterproof grab-and-go bag has a roll-top buckle handle and welded seams that keep out rain and sand. An oval base keeps the bag upright for packing. 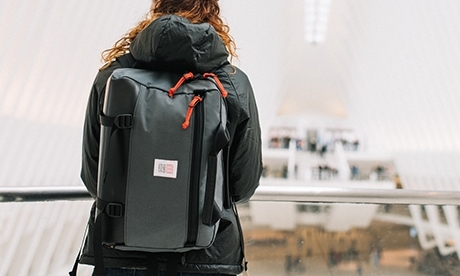 This bag keeps gear dry, even in downpours. 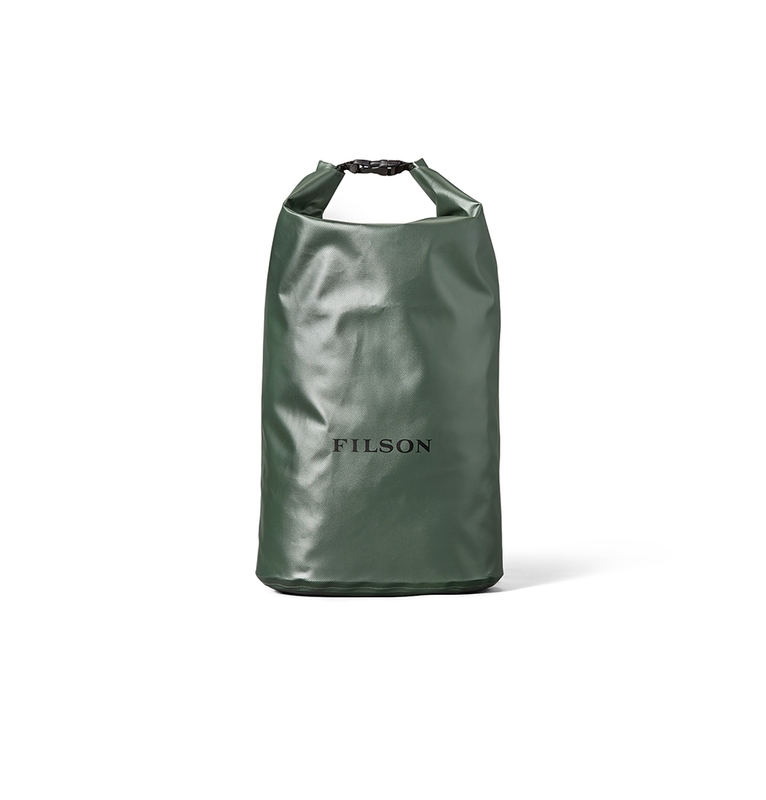 MADE IN USA, "Might as Well Have the Best"
As its simple name suggests, Filson‘s Dry Bag collection is lightweight, durable and fit for use in all weather conditions. 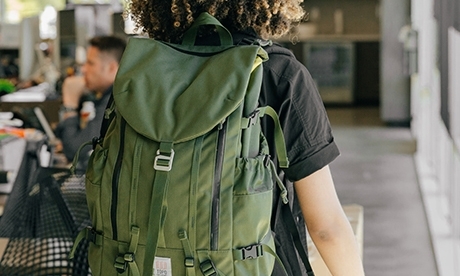 The range comprises a messenger bag, backpack, duffle backpack, duffle bag in medium and large sizes, and finally, a small roll-top bag with buckle handle. 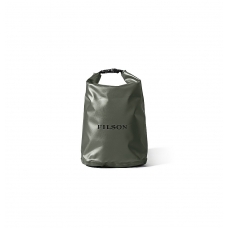 Each piece is made with 18oz vinyl-coated polyester in subdued black, with details like roll-top hook-and-loop-tab closure, adjustable straps and radio-frequency welded seams.